Singh breathed his last at 11.51 pm at the All India Institute of Medical Science's Trauma Centre, family sources said. Hindi writer, senior journalist, editor and critic Om Thanvi posted about the author's demise on Facebook and said the cremation ceremony of Singh would take place at the Lodi crematorium on Wednesday afternoon. "The Hindi literary world has plunged into darkness. Noteworthy thinker and a harbinger of hindi literature passed away," Thanvi said. 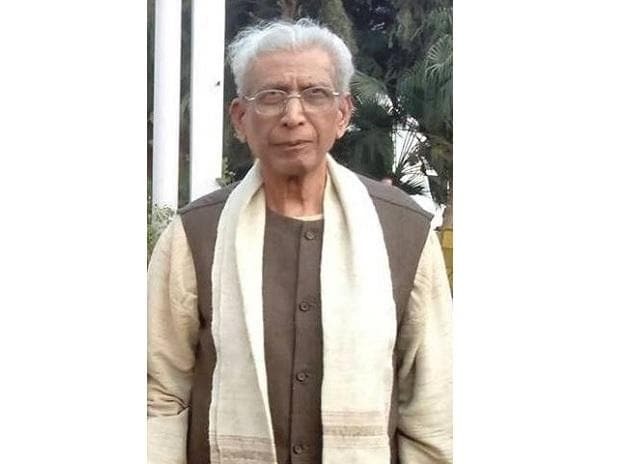 Born on 28 July 1926 in a village in Varanasi, Singh received a Ph.D. degree from Banaras Hindu University and began his teaching career at the same university and has been a professor of Hindi literature in other universities. Considered a living legend of Hindi literature, Singh has authored over a dozen works prominent among them are 'Kavita Ke Naye Pratiman', ' Chhayavaad' and 'Dusari Parampara Ki Khoj' among others. He received the Sahitya Akademi award for literary criticism in the year 1971 for 'Kavita Ke Naye Pratiman. The author had been the Editor of magazines 'Janyug' and 'Alochana'. Singh had been the former president of the All India Progressive Writers' Association (AIPWA). Singh had contested and lost the Lok Sabha elections as a Communist Party of India (CPI) candidate in 1959 from Chandauli in Uttar Pradesh. Well, known author, Kashinath Singh is Namwar Singh's younger brother.